In an unusual move, Felix Budelmann, Laurie Maguire and Ben Teasdale (2013) of Oxford University published a piece of research on audience responses to theatrical tragedy not in an academic journal but in the Times Literary Supplement. They asked audience members to view three opening scenes from Sophocles’s Antigone and two from Shakespeare’s King Lear. After each scene audience members answered a questionnaire about selected characters based on three psychologically well-established concepts. For the first of these the researchers took ratings of the audience’s emotional and cognitive perspective-taking (identification). For the second they asked about moral approval of each character. For the third they asked why characters did what they did (attribution). An interesting manipulation was to have the directors direct the plays in two completely different ways. One version of the scenes from Antigone was directed in a way that was sympathetic to Antigone, and one version was directed to be sympathetic to Creon. In the scenes from King Lear one version was directed to be pro-Lear and the other to be pro-Cordelia. The researchers report that for both plays the two versions were strikingly divergent. 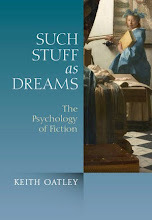 Although this research account was not peer-reviewed, it is of considerable interest for the psychology of fiction. One striking finding of this study was that although audience members identified with all the characters, with less than 25% separating the top from the bottom scores (for all characters), moral approval varied considerably. For instance Antigone was approved of more that twice as much as Creon, and Cordelia was approved of more than two-and-a-half times as much as Lear. As for attribution, for Antigone dispositional and situational attributions were of about the same, but in the first scene of King Lear, the actions of Lear were seen to be caused far more by his disposition than by the external situation. The researchers were shocked and surprised to find very little difference in their measures of how people felt and thought about the characters between the two versions of the performances. They say that, “The texts seemed director proof.” In Antigone the character Antigone was identified with and approved about the same in the version sympathetic to Antigone as in the one played as sympathetic to Creon. 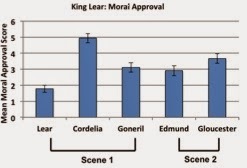 In King Lear, Cordelia was identified with and approved about the same across both versions, and more than with Lear. 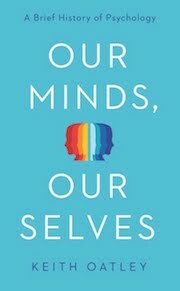 It is the duty of the court to formulate the questions correctly, but it is up to each member of the jury to answer them according to his own preference (Heim & Karlinsky, p. 117). 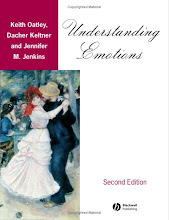 Heim, M. H., & Karlinsky, S. (1997). Anton Chekhov's life and thought: Selected letters and commentary. 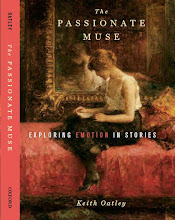 Evanston, IL: Northwestern University Press.